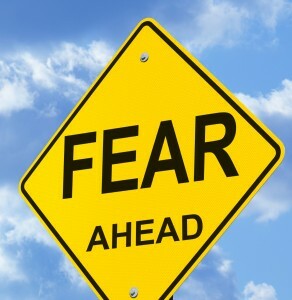 Autism Fears – Do you share these? Autism awareness, for many, only includes the facts and figures, the stories of heartache and the “struggle” that the media likes to talk about so much. It gives parents so much fear in their hearts that some just outright refuse to have children just to avoid the risk of having a child of their own with autism. I have my own fears. After years of seeing this “awareness” thing breed more and more fear, I’ve come to develop my own fears as a direct result. I fear that doctors will continue looking for a prenatal screening method to start giving mothers the option to abort a child just because it has autism. There are already far too many beautiful lives not being lived just because parents decide not to conceive just due to the risk. I fear that, should my son find someone wonderful to love, and marry and have a life with… that she may fear the thought of having children with him. Autism is genetic after all. The risk is automatically amplified. I’d hate, hate, HATE, for someone to hesitate in giving my son a family of his own because of their own fears. I fear that, as the ratios get closer and closer to 1 in 2 (they’ll never be that but they’re getting there), one day people may see my son as “one of those people.” Awareness is nice and all but there can be awareness without acceptance. And if that happens, if there becomes a division within society rather than an inclusion, my son may find himself having a tougher battle than I ever had. An individual is great. People scare me. And society, thus far, hasn’t given me much reason to think that they can overcome their fears. I fear more and more people will continue to replace the risks with much bigger risks such as feeding bleach to their children or refusing to vaccinate. People are willing to try anything. And by anything, I mean anything. You can only try “anything” for so long before you start treading into unhealthy territory. Each April, with the increase in awareness efforts, I worry. My own fears set in. I see people talk about how hard it is. How terrible it is. What the numbers are. What’s worse. What’s not right. What’s not funded. What’s not available. And I see people afraid. At least once a week, I receive emails from people telling me that they fear the risks. If they already have a child with autism, the doctors tell them the risk increases with another child. If they’re expecting a boy, the risks increase. If they have autism in their family, the risks increase. Risk, risk, risk!! One day, I fear, the playgrounds will be empty. The classrooms will be vacant. I fear the future. I used to fear the future anyway, for what it would not do for autistics. Now I fear it for what it might do. If the fear continues to grow. My child already has the deck stacked against him. I’m afraid to think how much harder it can get by good people thinking they’re doing good things but not recognizing the fear they feed. Awareness is good. Awareness is necessary. But awareness without education, without explanation, without acceptance… that’s what I fear. 6 Responses to Autism Fears – Do you share these? I used to have many fears for the future of my son and my family. Recently a friend was confiding about her desire to have children butting up against her husband’s fear of autism, since he is older (40+, a risk factor for autism.) My thought was, “Hunh. Really? Life could get a lot worse.” I was really proud of that reaction. When I look at the “Autism Movement” I think back to when Down Syndrome was the big fear. All the education, advocacy and medical tests that “they” came up with to help people make choices and what happened? I see lots of people with Down Syndrome walking around and living their lives. I don’t think that Autism is going to be any different. Yes, the numbers are going higher but I don’t think it’s going to change women’s minds about aborting their baby or not. People are people, they are going to what they would have done regardless of the situation. What would make it easier raising a child on the Spectrum is help. Real help, not wait lists for 4 to 7 yrs type help. Not here’s 1 hr of respite out of 6 months but real help. If we have help we can do it. You can’t raise a Spectrum child alone. You need to have other people helping. That takes the fear out of it. No parents complaining about how tired and worn out they are, how broke they are or how emotional drained they are. If there was more help out there, there would be more happier parents and happier parents means happier kids. My fear is that Autism will have to be the majority before people clue in. you really hit the nail on the head here, very well put. the fear isn’t about autism, it’s most definitely about this environment of ignorance that surrounds us, creates so much hostility towards difference.